She may now live in Hilton Head, South Carolina, but Tory Zawacki is still a Jersey girl. For this seventeen-year old, landing in the finals of a Grand Slam just an hour from where she grew up was a fitting peak to an already outstanding junior tennis career. 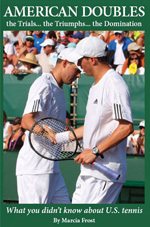 The Zawacki family has always been active in the tennis world. Sisters Tracy, Terry Ann and Tami all played junior and college tennis while her parents remained involved. (Tory's father, Ted, is currently her coach.) Tory's grand entrance into the family sport really began in 1999, when the then fourteen year old won five Eastern Section titles before going on the win the national Bush Florida Open and making it to the semifinals of the USTA National Indoors. During 2000, Tory continued to win Eastern Sectional events and have good results in Nationals, but it was last year that was her break out year. 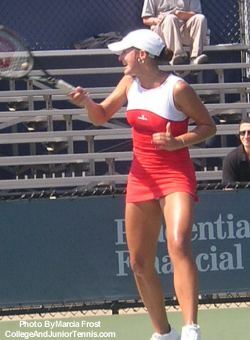 In 2001, Tory placed third at the K-Swiss Championships and fourth at the USTA Super National Hardcourts. She was the doubles winner at the Bush Florida Open, where she placed fifth in singles and Tory won the doubles at the Chanda Rubin ITF in South Carolina and the singles at the USTA International Hardcourts. Tory Zawacki is currently ranked No. 5 in the USTA Girls' 18 singles and in the top 100 by the ITF. This year she entered a new world as she began to test out the USTA Pro Circuit. The run proved successful. She took the singles title at the USTA $10,000 Satellite of Baltimore. The US Open has been a special place for Tory. In addition to having the support of the locals she grew up with, Tory made a splash here last year when she came through the Junior Qualifying and won two rounds. Though she lost in the first round of the singles, she continued her run of luck in Flushing this year by reaching the doubles finals of the US Open Junior Championships with Shadisha Robinson. This made the USTA National Tennis Center the perfect place for me to sit down with this bubbly teen.